Charleston, SC is a tourist destination known for its historic beauty. It personifies the romantic ideals of the Old South—colonial houses, brick streets, horse-drawn carriages. There’s another piece of history to be explored around every corner. So if you’re a history lover—or a lover of great food, beautiful scenery, and a bustling nightlife—than the Holy City is the place for you. You’ll never run out of historical things to do in Charleston, SC! Here are some of the top activities on the list. Fort Sumter is just a short boat ride from the downtown area. It’s where the Civil War began, when Confederate artillery fired on a Union garrison. Now, Fort Sumter is a national monument. You can explore the grounds behind the high walls of this historic battle scene. You’ll find a Visitor Education Center Museum that showcases what led up to the Civil War, the construction of the fort, and the role it played during and after the war. Take in some of the more “colorful” historic architecture by strolling down Rainbow Row. This collection of brightly painted buildings is the longest cluster of Georgian row houses in the United States. Continue walking south past some of the most idyllic old houses Charleston has to offer, and you’ll find yourself at iconic Battery Park—a beautiful green space that sits right on the water. Within the park are several informative monuments and a collection of historic mortars and cannons—if you didn’t get your fill at Fort Sumter. In the heart of downtown’s Historic District sits the Charleston City Market—a thriving space of commerce since it opened in 1804. One of the city’s biggest tourist attractions, it’s a covered walkway lined with local purveyors selling everything from fine jewelry to hand-woven sweetgrass baskets. It’s a great opportunity to interact with local artists and craftsmen. Plus, the streets surrounding the market are filled with bars and restaurants to quench your thirst and satisfy your belly when you’re done perusing the local faire. Boone Hall Plantation boasts the Avenue of Oaks, a three-quarter-mile strip of gorgeous live oaks draped in Spanish moss, as well as several original slave cabins that have been fully preserved. Magnolia Plantation is known for its large-scale Romantic-style gardens. These historic gardens offer some of the most beautiful scenery you can find in the South—flowers blooming, serene ponds, sprawling greenery. Middleton Place Plantation has a fully furnished plantation house from 1755. Take a trip back in time and see the way people lived on plantations before the United States was even officially a country. Charleston is home to over 1,400 historic structures—so you’re not going to see them all. But when you’re walking down the street gazing up at opulent mansions, it’s tempting to pop your head in and see what the interiors look like. Luckily there are several historic homes open for tours, some of which are decorated in the style of their heyday. The Nathaniel Russell House, built in 1808, houses an astounding collection of fine and decorative art. The Aiken-Rhett House on Elizabeth Street offers a different glimpse into the high society of old Charleston. Obviously, most museums are historic. But the Charleston Museum is considered America’s first museum, founded in 1773. The Lowcountry History Hall boasts rare slave badges and early tools used in rice growing. Other areas delve into life in Charleston during the Revolutionary and Civil Wars. There’s even a section devoted to southern-made silver—and one item in that collection is George Washington’s christening cup! There is virtually no end to a list of historical things to do in Charleston, SC. When planning your trip, you can put yourself in the heart of it all, with a great vacation rental from Walk Away Stays. We offer the finest rental properties in Charleston, expertly designed and decorated with hotel-style toiletries, luxury towels and linens, and complimentary locally roasted coffee. 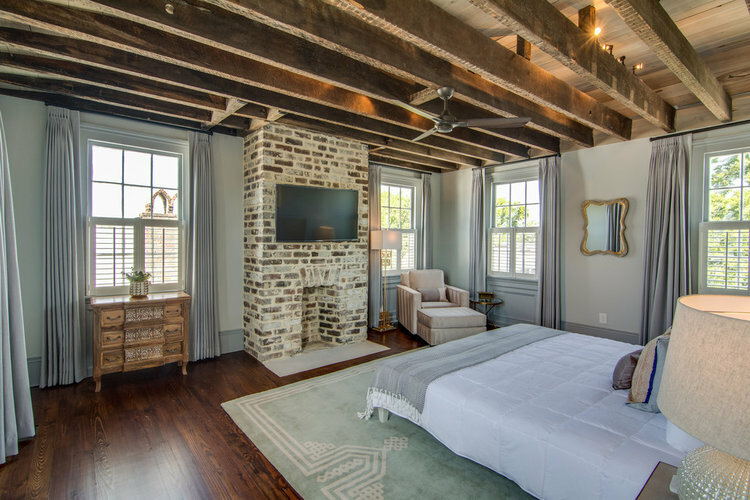 Explore these beautiful properties located in the Charleston Historic District, or browse our full listings of properties—and book today!